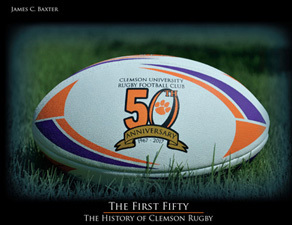 The Clemson Rugby Foundation's vision is to ensure the continued positive impact the sport of rugby has on students at Clemson University. It will look to guide and assist the student members of the Clemson University Rugby Football Club in any endeavors or goals the team and the Clemson Rugby Foundation choose to pursue. Donate Today To Get Your Copy!